PyCharm provides an interactive console that can integrate into your local Divio development environment. 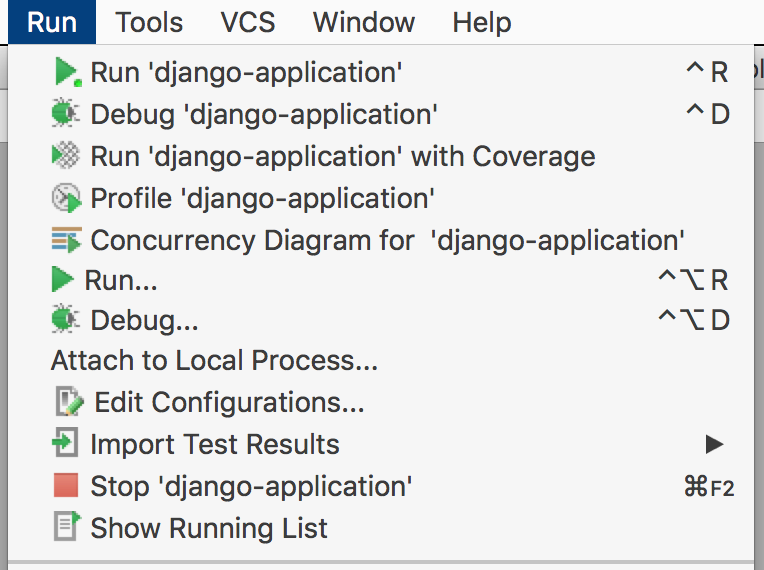 To use PyCharm's interactive console with the local development environment you need to do some basic manual configuration. Note: this document is for users of the older Docker Toolbox/VirtualBox set-up. If you are using the native Docker for Mac or Docker for Windows applications rather than Docker Toolbox and VirtualBox, see our Set up local development environment with Docker for Mac/Docker for Windows and PyCharm document instead. Note: depending on the theme you're using with PyCharm, the appearance of the dialogs below may be different, but the functionality will be the same. Select Docker and press the "+" icon (this sets up Docker automatically with the correct settings). Please note that your file path will be different from the one shown below. First, Setup the project locally with Divio. In PyCharm, open the project in the usual way. Back in PyCharm's Settings/Preferences dialog, search for Project Interpreter and select it. Click on the settings icon on the right and select Add Remote. You'll notice that it has automatically discovered your docker-compose.yml file and the services listed in it. Select Edit configurations for your project. This runs docker-compose up on the project. In the Divio App, you'll now see that the project is running (you may need to refresh the view to see it). If you don't know the IP address of your Docker machine, docker-machine ip will tell you. Visit this in your browser on port 8000, and you'll see your project. It's worth exploring to find out more about how it can help you in your Divio CLoud development work. Note: not all of these features are available when using Docker - for example, debugging tools will not work. Tip: If you're using PyCharm on Ubuntu, this link might help you with some common issues: Enable Remote API on Docker hosts running systemd (like Ubuntu 15.04).